Product #46663 | SKU 15590 | 0.0 (no ratings yet) Thanks for your rating! 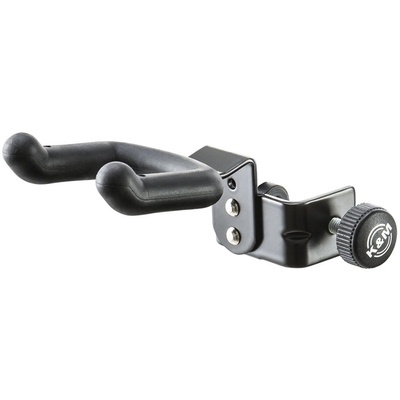 The 15590 Ukulele Holder from Konig & Meyer is a mountable ukulele holder. Its clamp can attach to any tube with a diameter that ranges from 7 to 30mm, and its rubberised support arms ensure the stability of your ukulele. This model is suitable for all common kinds of ukulele. The clamp is fashioned out of steel.